This story is by Rev. 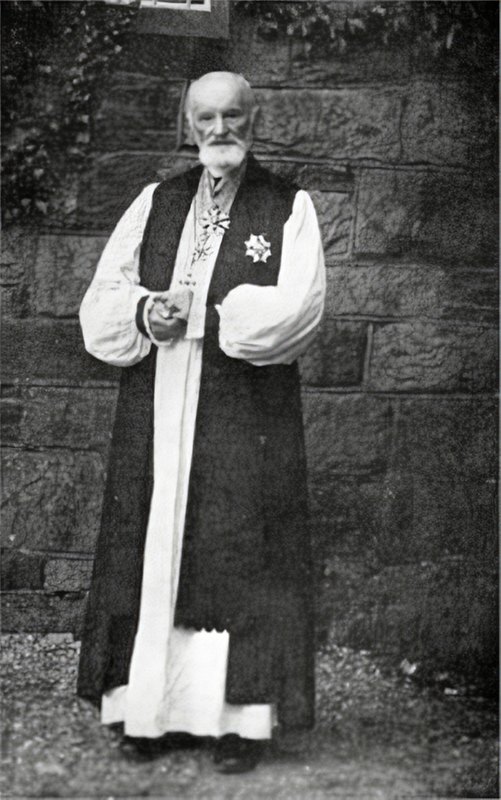 Victor Shaw, Rector at St George’s Anglican Church. 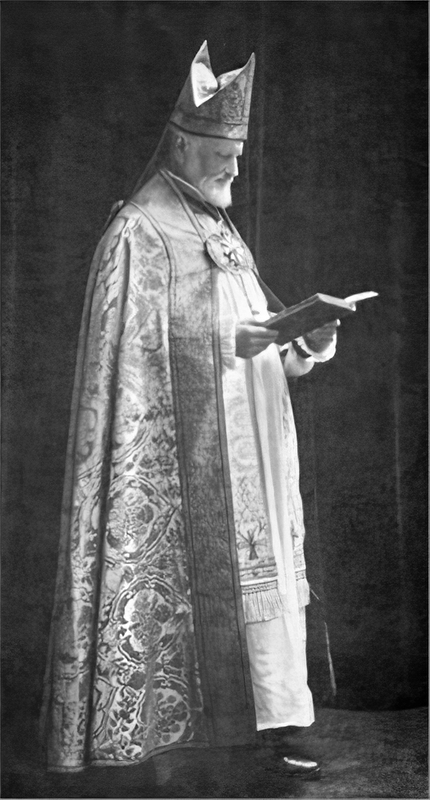 The foundation stone for St George’s rectory was laid on 26 October 1896 by Henry Montgomery, bishop of Tasmania (see images below). Bishop Montgomery’s son was Field Marshal Bernard Montgomery of Alamein. The house has been the residence of the rectors of St George’s church since 1902, after Canon George Banks-Smith died (rector 1859-1902). The rectory was built not only as a residence for the rector and his family, but also to be a place from which pastoral ministry could be conducted. As such, it has public and semi-public spaces for welcoming members of the parish, and private spaces for family life. The study is nestled between the front entrance and side entrance facing the church. This means that I’m able to see people and have meetings without my visitors venturing further into the house. There is a large sitting room adjacent to the dining room; we open the glass doors between these two rooms when hosting our regular church lunches. A second lounge room serves as a family room. The spacious kitchen has large windows facing the back garden, which makes it easy to keep an eye on our three kids playing in the backyard. We’re very thankful to our volunteer gardener Malvina for her amazing work in looking after the extensive garden. Upstairs are the bedrooms, with a large room for guests. My wife Claire and I met in 2007 at a course entitled, ‘The Problem of Evil: A Tour of Christian Responses’. We arrived in Hobart from Sydney on the day of the 2013 bushfires, when our oldest child was ten months old. I remember driving down from Devonport through falling embers. I arrived at 11.30 pm and it was still 35 degrees. It wasn’t quite what I expected for Tasmania! After living at Empress Towers in Battery Point and then a townhouse on Sandy Bay Road, we moved into the rectory in 2016 when I accepted the position as Rector at St George’s. The Rectory might look imposing from the street, but it is very much a warm and welcoming family home within. Traces of former occupants are dotted around the house. The stained glass around the front door was made by Carol Jolly, wife of Reverend Bill Jolly, who was rector from 1993-2006. On the mantelpiece in the study is a painting of the church by Reverend Alfie Reynolds (1952-71). In the dining room stands an Art Deco writing desk, which belonged to C.H. Nash, father of Lawrence Nash, rector from 1944-52. One of the joys of living in St George’s rectory is that we’ve met many former residents, going back to the 1930s. All have fond memories of life lived in the house. It’s a wonderful place to live and raise a family. It also continues to serve well its purpose as place from which to offer care and spiritual guidance to the people of St George’s and Battery Point. So please do stop by for a cuppa and a chat!